We’d love to hear from you. If you have questions, we’ve got answers. 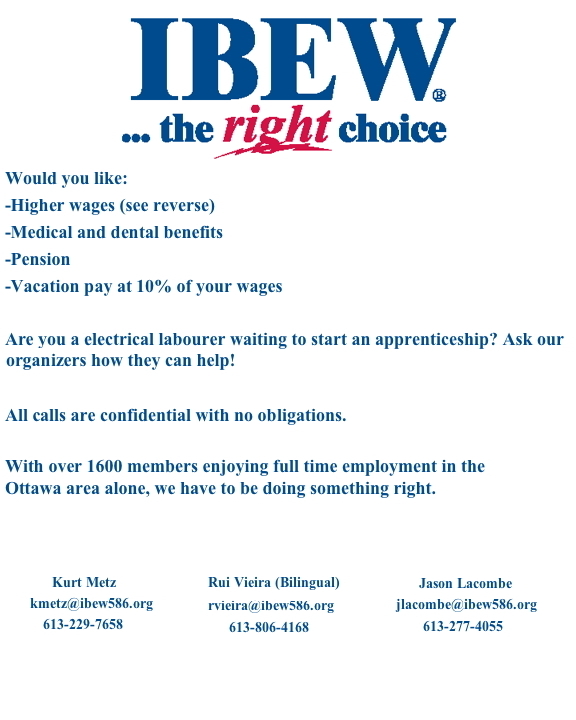 Please fill out the form below and the IBEW Local 586 Ottawa will be in touch with you as soon as possible.